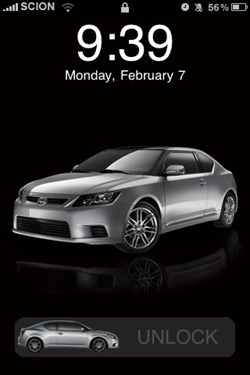 In an interesting advertising move, Toyota released an official jailbreak theme for iOS through advertising firm Velti. Turns out though that Apple wasn’t so keen on this approach to advertising and told Toyota to pull it. The hosts of the file and their own Cydia repository ModMyi received a request from Velti to remove the theme from the jailbreak app store after complaints by Apple. On the phone, he explained Apple had contacted Toyota and requested they remove the theme and stop the advertising campaign. They (Velti) in turn contacted me relaying the message. The reason Velti listed for the removal request of the theme emailed through our dev portal was "Toyota’s making us take it down…" Toyota had agreed to do so to "maintain their good relationship with Apple," our Velti contact told me on the phone. The theme went live on Cydia back in February though it is unknown how many people downloaded it or indeed when Apple decided they didn’t like it. While it’s perhaps no great surprise that Apple weren’t a fan of the (rather ugly, to be honest) theme it’s a shame Toyota felt they had to comply with their demands for it to be pulled. Perhaps they are concerned about potential iAd repercussions? 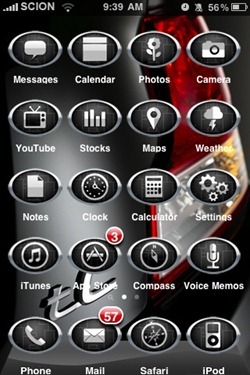 You can check out more iOS themes on our iPhone Themes Gallery.